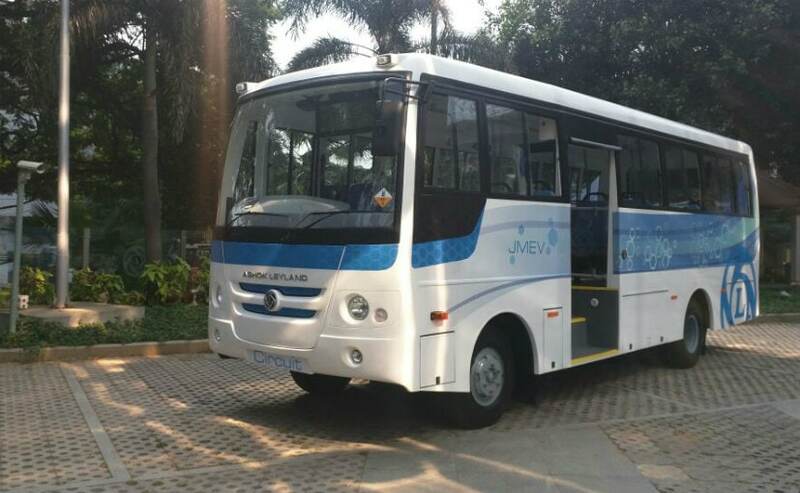 While we have electric cars and more recently an all-electric motorcycle, Indian commercial vehicle maker Ashok Leyland has launched the first ever electric bus that has been manufactured entirely in the country. 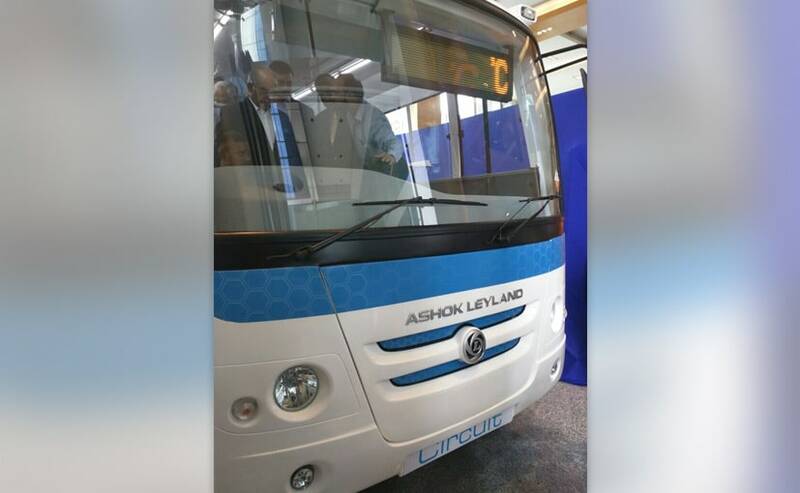 The Ashok Leyland 'Circuit' is a 100 per cent electric bus and leaves zero emissions upon operation. The CV manufacturer says that the 'Circuit' series of CVs has been designed keeping in mind the Indian road and load conditions. The Circuit series electric vehicles will soon be made available across various platforms from Ashok Leyland. The Ashok Leyland Circuit Bus will be powered by Lithium-ion batteries, although the final power output hasn't been revealed. The bus can travel up to 120km on a single charge and takes merely three hours to become fully charged from naught. Also, it has a top speed of 75 km/h. The Circuit bus also comes with an on-board fire detection suppression system and full vehicle diagnostics. The bus is also fitted with advanced telematics making it safer for passengers and easier for operators to track. For convenience of the passengers, the bus will have USB phone charging points and on-board Wi-Fi as well. The Ashok Leyland Circuit Bus can accommodate 31 passengers plus the driver. 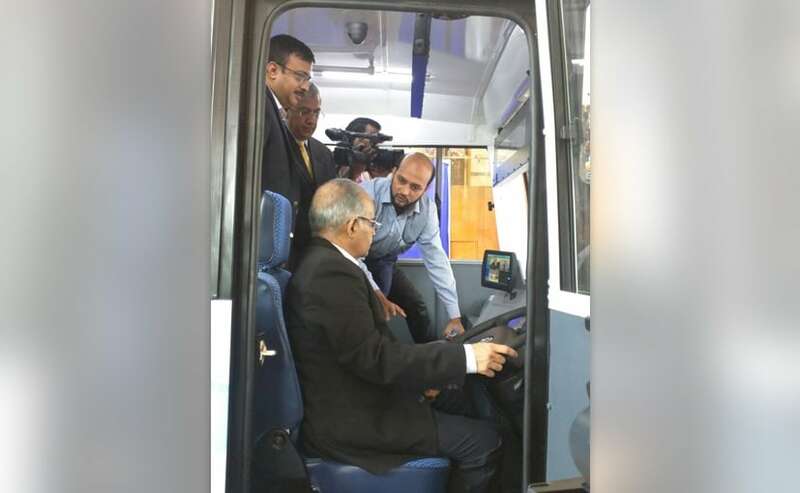 Vinod K Dasari, managing director, Ashok Leyland, said, "The Circuit series of buses is another testament to Ashok Leyland's commitment to leverage India's technological innovation to deliver relevant and best-in-class solutions for India and the world". He also added that the Circuit series is built on a simple, mass-market platform, which will enable operators to run the bus services at a minimal cost for operations and maintenance.